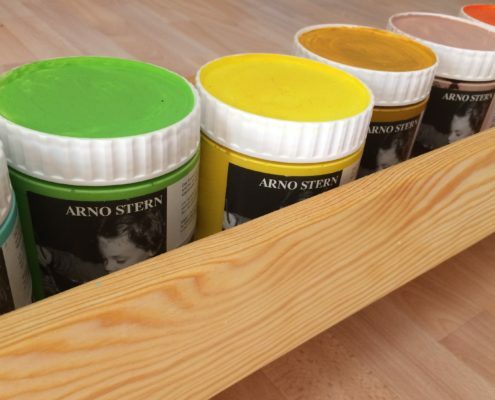 The Painting Room Basel was created based on the studies and observations of Arno Stern, the inventor of Closlieu and Formulation. 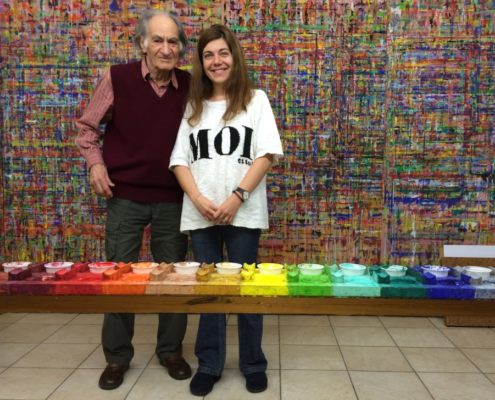 My name is Laura Munteanu – I took the practitioner training course and become a “Servant” – name used by Stern for the practitioner to outline his role is not that of teacher, but that of an ‘aide’ more than anything – in the Closlieu with Arno Stern. Before each session, the colors, brushes, walls and the space itself have to be ready for the start of the painting play. This is where my role begins. 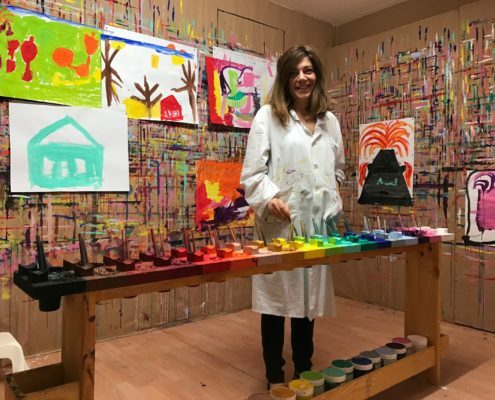 During the session, I am always present in the painting room to “serve” you – ensure you have everything you need to stay focused on the painting play and not get distracted or tired. I’m not there to share any knowledge. I do not interfere in the process of painting, don’t make any remarks or ask any questions. When you finish the session, my role doesn’t end there. I make sure that paintings are stored properly and colors are preserved until the next session.